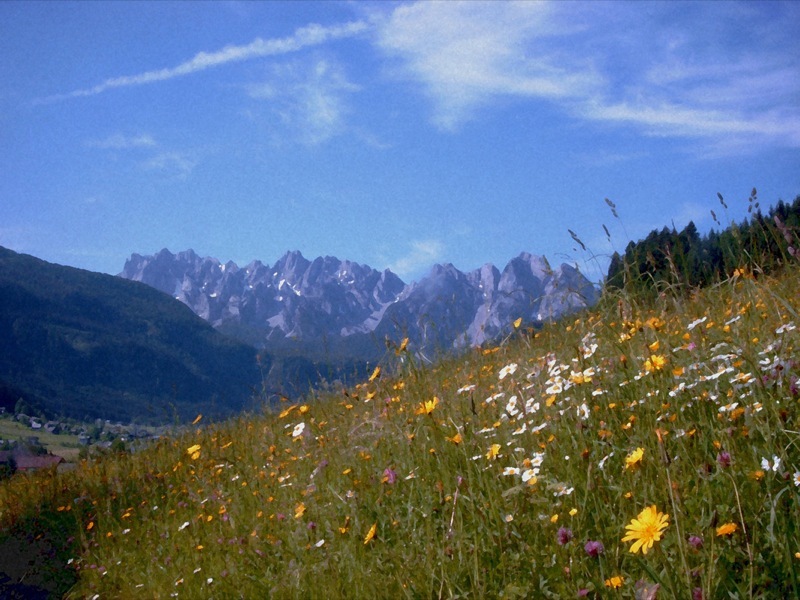 This is a two day circuit around the Gosaukamm, a ridge of superb peaks and spires which marches westward from the main Dachstein massif, containing perhaps the most inspiring scenery of the whole range. There are huge views away from the range throughout, and of course close-up inspection of the rocky drama that is the Gosaukamm. This is the region's best-known route. The Gosaukamm Circuit is a two day circuit around the Gosaukamm, and the region's best-known route. 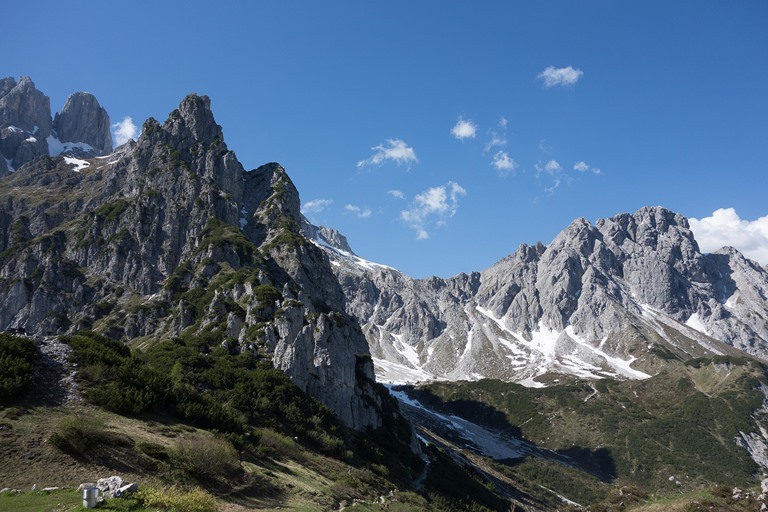 There are huge views away from the range throughout, and of course close-up inspection of the rocky drama that is the Gosaukamm, including the famous spires that are known as the Bishofsmutze, which the route passes close to, near the moderately tricky 2,016m Steigl Pass. There is some fine limestone pavement to cross, too. The path spends some time in the upper ends of the mid-slopes forest, but is up above the treeline for the majority of the time. Given that this route plies the northern and southern slopes of the range, it can be started from the Filzmoos or the Gosausee areas, the latter having the benefit of a cable car to the high ground. 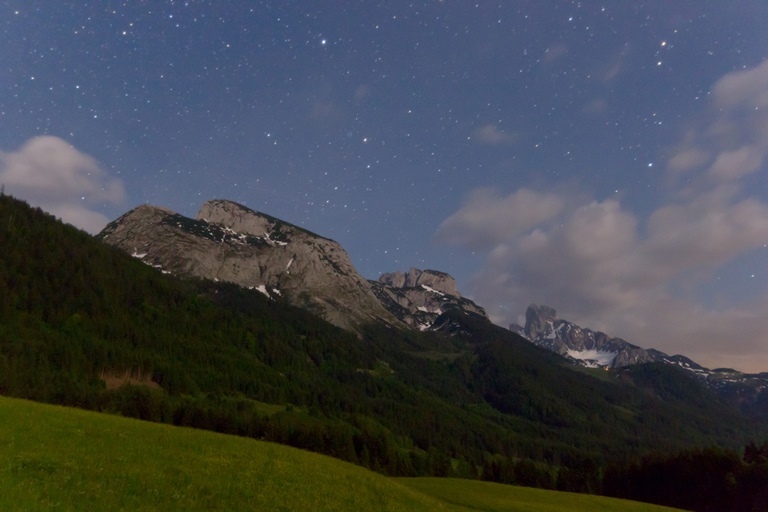 Depending on where you start, you will be likely to spend the night in the Hofpurgl or the Gablonzer hut. 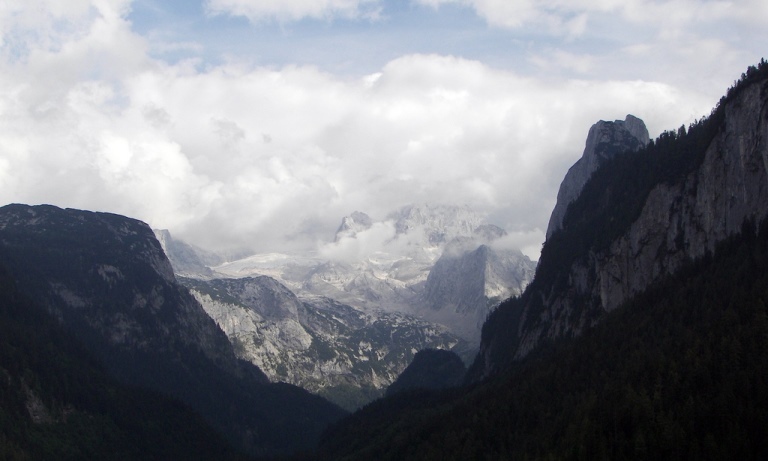 This the "longer" Dachstein walk that Walkopedia most covets, and we plan to return one day to tackle it.